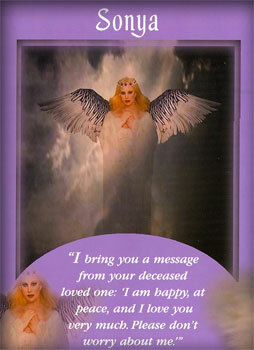 "I bring you a message from your deceased loved one: 'I am happy, at peace, and I love you very much. Please don't worry about me.' "
Your heart has been heavy with grief, and I am here to reassure you. I am a guardian angel to your deceased loved one, and I want you to know that there is no reason for you to worry. 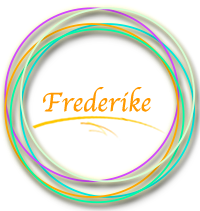 Your loved one is very happy and has adjusted to the transition very well. There is no anger or upset directed toward you, only love and understanding. You have done nothing wrong, dear one, so please don't blame yourself in any way. You did everything that you could, and your loved one has asked me to share this appreciation with you. You and your loved one still share great love between your soals. That love could never die! Although you miss your loved one's physical presence, you have already connected spiritually in your dreams; as well as through feeling, hearing, smelling, or seeing your loved one's essence. Your loved one is as alive as you are - even more alive in many ways. Relieved of Earthly cares or bodily pains, your loved one is freer and happier than ever. As soon as you complete your life's purpose and it is your time to make the transition, you will be reunited in each other's arms. In the meantime, please know that your loved one is with you often, and that the angels surround you continuously.